64-year-old Hakam Singh Bhattal, who won gold at the 1978 Asian Games for men's 20 km walk, is suffering from liver and kidney ailments. Sports Minister Rajyavardhan Singh Rathore said that he has ordered for the release of Rs 10 lakhs for the treatment of ailing Asian Games gold medallist Hakam Singh Bhattal. “I have ordered an immediate release of ₹10 lakhs for the medical treatment of Havildar Hakam Bhattal,” he tweeted on Tuesday. He further stated that Sports Ministry and Sports Authority officials had visited him, and they are “keeping track of the situation.” The 64-year-old is suffering from liver and kidney ailments and it was earlier reported that the family was finding it difficult to foot his medical bills. I have ordered an immediate release of ₹10 lakhs for the medical treatment of Havildar Hakam Bhattal. Officers of @IndiaSports @Media_SAI have visited him, and we are keeping track of the situation. I wish him a quick recovery. 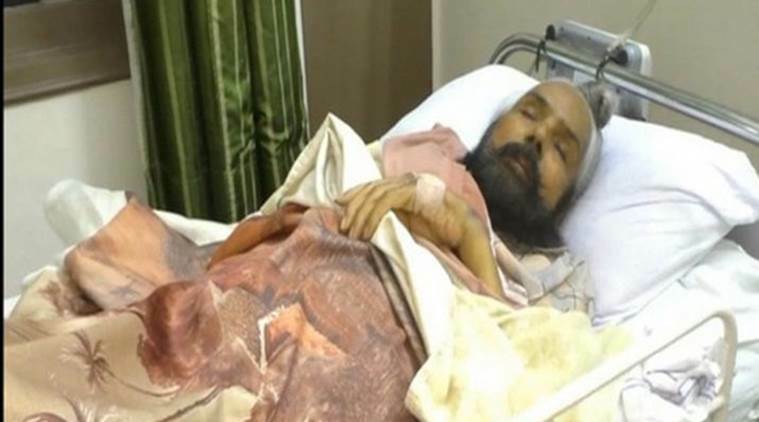 Earlier, Barnala Deputy Commissioner Dharampal Gupta announced all expenses required for Bhattal’s treatment would be taken care of and gave the family a cheque for Rs 20,000 from the District Sainik Board, Barnala. The 64-year-old is suffering from liver and kidney ailments. “His condition is critical, but we will help his family in whatever way possible,” the DC is quoted as saying by The Tribune. The initial reports of his apathy had garnered a lot of responses on social media with many lashing out at the government for its apathy. Former India bowler RP Singh and spinner Harbhajan Singh offered help for Bhattal. Do you have his bank details and contact number of his family members? Bhattal served as Naik in the Army, which he joined in 1972. He was forcibly retired in 1987 after having a tiff with his seniors for not being promoted despite winning a medal. Bhattal won gold in the men’s 20 km walk in the 1978 Bangkok Asian Games. He then won gold at the 1979 Asian Track and Field Championships in Tokyo. “My father won the case in the Army tribunal two months ago against his forcible retirement and he will get his pension and other benefits from 1987. He was removed from the Army after having a tiff with his senior for not promoting him,” Sukhjit, Bhattal’s son is quoted as saying by The Tribune.